To fulfill their civic duty in the armed forces can only conscripts, fit state of health. One of the evaluation criteria is the complete absence of the young man contraindications for military service. For the proud title of defender of the Fatherland can claim that only young people with good physical and mental health. It is no coincidence that each recruit undergoes a thorough medical examination whose purpose is to detect the absence of diseases that could prevent the young man to perform his civic duty. - Infectious diseases. 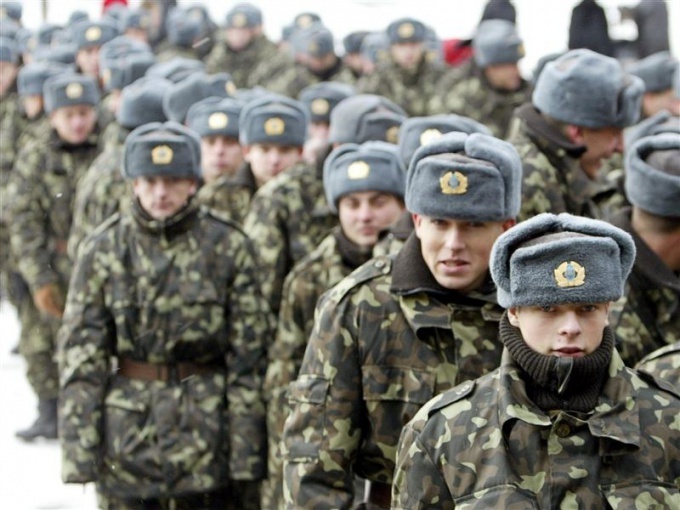 These include HIV infection, active TB with diseases such recruits will not be able to join the ranks of conscripts. It is possible that on examination the young man will reveal some infectious or viral diseases (e.g., syphilis or gonorrhea), but they respond well to treatment and are therefore only a temporary contraindication for military service. - Congenital anomalies (chromosomal abnormalities, e.g. down syndrome, cleft lip). - Abnormalities of the nervous system and brain (e.g., epilepsy) also put an end to the opportunity to serve in the army. - Endocrine diseases. If a young person is sick with diabetes, suffering from obesity, in the military medical Board finds him unfit for service in the army. - Diseases of the heart and blood vessels. Heart disease, heart failure, hypertension, ischemia – diagnosed with male also cannot serve. - Broncho-pulmonary disease. With asthma or other respiratory diseases inductee is recognized unfit for military service. - Diseases of the digestive tract. A healthy stomach is the basis of the wellbeing of the soldier, so young people with gastritis or ulcers have the potential to remain a civilian. - The effects of trauma (especially if, as a result, they have violated the functioning of any organ) is also a big contraindication for military service. - Neoplasm (both malignant and benign) – another reason not to be called soldiers. - Pathology of musculoskeletal system – these include flat feet, scoliosis and other curvature of the spine. - Hearing loss or vision. In a healthy body – healthy mind! Good physical health is not the only measure of the "validity" of the recruit. Equally important for the future defender of the Motherland mental health. If a young person suffers from psychosis, schizophrenia or another personality disorder, his chances to become soldier zero. Speaking of such diagnoses recruits often learn only in the military medical Commission, because these pathologies are not only innate, but acquired. List contraindications for military service is quite extensive. Identify them can only thorough medical Commission, which must pass a conscript.